You have to be very lucky to win one John Smith’s Grand National, but owner Trevor Hemmings, who won with Hedgehunter 2005, was convinced that he was dreaming as Ballabriggs gave him a second victory in the world’s greatest steeplechase, outrunning the equally brave Oscar Time by two and a quarter lengths. Hemmings said of the 14/1 winner: “Last time I was totally shocked, but, though I was with it this time, I still felt that it wasn’t really happening. “From the last fence everyone kept telling me that I was going to win, but I had to turn away. I just could not look. “Footballers dream of scoring a goal at Wembley and cricketers hitting a boundary at Lords, but this race is the ultimate in horseracing and I will never grow tired of watching the video. "You can’t do anymore than have a horse as good as that and a jockey as good as that. It’s happened to me once before with Hedgehunter and Ruby Walsh but I am in a position this time to be part of it. "I was stunned last time, rightfully so, because nobody is entitled to that trophy. I was in the old stand in ‘05 and now I am in the new stand for ’11 - it’s beautiful. You can’t describe the feeling - it’s incredible." Donald McCain, celebrating his first triumph in the race which his father Ginger has made his own - three wins for the legendary Red Rum (1973, 1974 and 1977) and one for Amberleigh House (2004) - said: “Amazing, simply amazing. We always felt that Ballabriggs was the right type for this race and everything has gone so smoothly in his preparation. His recent race at Kelso put him spot on for this and we’ll have the mother and father of parties when we get home. "It’s just incredible, isn’t it? Supporters like Mr Hemmings mean everything and Aintree means as much to him as us. We owe Jason one - he was loyal to us when he lost out on Silver Birch. "We have always genuinely thought that this might be an Aintree horse and you only have to see the way that he took to the place today to see what he has done. "Horses are easy to train but everything has gone so smoothly all year - the prep at Kelso was grand - and he is just an absolute joy to deal with. It’s easy to say that he has won a Grand National but he is an absolute pleasure to deal with. "It’s hot out there and he wasn’t supposed to hit the front until the elbow. He has been up there all of the way and has jumped his way there, he travelled great and he has just got tired. He got tired at Cheltenham and he gives everything - he doesn’t hold anything back - and he is coming round now fine. He is just very tired. Successful jockey Jason Maguire said: "The trainer said to try and be in the first 10 in case I frightened myself and ended up with a lot of ground to make up but he has half run away with me for the first mile - he was just jumping fence to fence. "Turning in the first time, I just thought that I would just try and get him to the front and relax him - keep getting a stride into him - and every time that he jumped, he just did enough and he has got the trip because of that. "There was a bit of question mark whether he would get the trip but, fair play to Donald - he has done a brilliant job. "I haven’t a clue what this is like - I don’t know what I feel - I am just overwhelmed but I am sure that it will sink in later. "I think that it was Robbie Power was on my outside and I was just trying to keep my eye on the fences but you see the orange boards two or three fences ahead. I was just trying to see what angle I was going to take." John Brady paid £IR12,000 for Ballbriggs as a foal at Goffs in December, 2001, and sold the youngster on to Highflyer Bloodstock for 32,000 euros at Tattersalls Ireland the following November. Ballabriggs made a low-key racecourse debut for trainer Donald McCain and owner Trevor Hemmings when fifth in a Uttoxeter bumper in May, 2006 and was 10th of 14 on his hurdles bow at the same course that December. The gelding contested four more hurdle races before switching to fences, finishing runner-up twice, but failing to win. He slipped up on the bend on his first chase start at Bangor in December, 2007, and subsequently posted three seconds and a first fence fall before breaking his duck in a soft ground extended three-mile beginners’ chase at Bangor in March, 2008. He followed that with another runner-up finish at Ayr in April, behind subsequent Scottish Grand National hero Merigo. After a below-par effort at Haydock in November, 2008, Ballabriggs was off the course until returning with a third-place finish in a handicap hurdle at Uttoxeter in December, 2009. He then proceeded to string together three straight wins over fences, the third of those being the Fulke Walwyn Kim Muir Challenge Cup at the 2010 Cheltenham Festival. That was his final start of the campaign and, with the John Smith’s Grand National firmly on the agenda, he made a belated return to action this season with two novice hurdle triumphs at Wincanton and Ayr in January. His final start before Aintree came in the extended two and three quarter-mile totesport.com Premier Chase at Kelso on March 5. The 10-year-old finished a length and three quarters second to Skippers Brig, to whom he was conceding 4lb. That run duly put him spot on for Aintree and he romped to a two and a quarter length success today over Oscar Time to give his owner a second John Smith’s Grand National victory. Trevor Hemmings, who was born on June 11, 1935, boasts a classic rags to riches story. Born in Woolwich Arsenal, south east London, where his father worked at the Royal Ordnance factory, Trevor was sent to Lancashire as a five-year-old during World War II and began life as a bricklayer’s apprentice after leaving school aged 15, before rapidly working his way up the Pontins holiday business to the extent that he was able to sell it on to Scottish & Newcastle in exchange for a significant share holding in S & N (1989). He bought Pontins back in 2000 but retained a stake in S & N, which netted him £218 million when the company was sold in January, 2008. His main holding company is the Northern Trust Group, whose net assets fell to £132 million in 2010. He is also a major shareholder in Arena Leisure Plc, which owns Folkestone, Lingfield, Southwell, Wolverhampton and Windsor racecourses and manages Doncaster and Worcester. Arena is also a major shareholder in broadcaster At The Races that owns some of British racing’s media rights. Hemmings sold Blackpool Tower and the Winter Gardens to the North West resort’s town council for £40 million in March, 2010. He also owns a share of Preston North End FC and is chairman of the TJH Foundation, a charity which makes grants to organisations such as Macmillan Cancer Relief, St John Ambulance, Crimestoppers Trust and the Royal National Lifeboat Association, the Injured Jockeys’ Fund and Racing Welfare. In 2010, the Sunday Times estimated Hemmings’ wealth at £500 million, a recession-busting rise of £200 million on the 2009 figure. Hemmings fulfilled one of his greatest ambitions when Hedgehunter carried his colours to victory in the 2005 John Smith’s Grand National. After years of trying, Hemmings had finally emulated his mentor Fred Pontin, owner of the 1971 National hero Specify, with his 13th Grand National runner. Ballabriggs added a second success in 2011. His first winner came on the Flat in 1985 but Hemmings now brings on young jumping stock at Gleadhill House Stud, near Chorley, Lancashire, managed by former trainer Mick Meagher, and at his Monymusk Stud in Co Cork. He first tried to win the John Smith’s Grand National with the Stan Mellor-trained Rubika, who finished 14th in 1992. Hemmings, who was made an honorary Jockey Club member in December, 2006, resides on the Isle of Man and is said to have paid £12 million for the Ballavodan estate on the island. He enjoyed a double at the 2010 Cheltenham Festival with Albertas Run (Ryanair Chase) and Ballabriggs (Fulke Walwyn Kim Muir Handicap Chase). Albertas Run added a second Ryanair Chase victory in 2011 to go with his Festival triumph in the 2008 RSA Chase and a further Grade One win in the 2010 John Smith’s Melling Chase at Aintree. As well as those mentioned, his best horses have been Trabolgan, Burton Port, Young Kenny, Blue Shark, Cloudy Lane, Afsoun, Turpin Green, Arctic Jack The Last Fling and Simply Supreme. 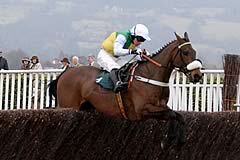 His best season numerically came in 2007/08 when his horses triumphed in 51 races in Britain and Ireland. Born on March 13, 1970, Donald McCain Jnr is the son of Ginger McCain, trainer of the legendary Red Rum, the only horse to win the John Smith’s Grand National three times (1973, 1974 and 1977) and also Amberleigh House, the 2004 victor. Donald learnt to ride on his sister Joanne’s pony Gambol and rode in his first race on the Flat aged 15 (his father told a few white lies so he could ride) at Haydock Park. He subsequently became a jump jockey, firstly as an amateur and then a professional, riding around 40 winners under Rules. He rode several times over the Grand National fences, finishing fifth aboard Harley in the 1992 Fox Hunters’ Chase and 17th on Sure Metal in the 1996 Grand National. He also spent time working in the stables of Luca Cumani, Sir Michael Stoute and Oliver Sherwood. Donald subsequently became assistant trainer to his father at Bankhouse Stables at Cholmondeley in Cheshire and played a significant role in Amberleigh House’s Grand National victory in 2004. He was expected to take over the licence from his father at the start of the 2006/7 jump season, but had to wait until June, 2006, before he was able to train in his own name as he needed to complete the appropriate British Horseracing Authority courses. Donald’s first winner as a licensed trainer came with Bearaway in a handicap chase at Newton Abbot on June 8, 2006. He secured his first Cheltenham Festival triumph with Cloudy Lane in the Fulke Walwyn Kim Muir Handicap Chase in 2007 and enjoyed 40 winners in his first campaign. In the 2007/08 campaign he had 58 successes and a second Cheltenham Festival success with Whiteoak in the David Nicholson Mares Hurdle while the 2008/09 haul of 62 winners included Cloudy Lane’s victory in the Grade Two Peter Marsh Chase. Last season brought further success with a double at the Cheltenham Festival thanks to Peddlers Cross in the Neptune Investment Management Novices’ Hurdle and Ballabriggs in the Fulke Walwyn Kim Muir Handicap Chase, and a career best 88 winners. He already has 93 winners on the board this term (as of April 6). Peddlers Cross landed the Grade One Fighting Fifth Hurdle and was a gallant runner-up in the Champion Hurdle, while Overturn took the Northumberland Plate on the Flat in June and added the Galway Hurdle a month later. McCain is also the trainer of Smithy The Horse, owned by the John Smith’s Racing Partnership which offers John Smith’s drinkers the chance to own a share in a racehorse. Today he emulated his father by training a John Smith’s Grand National winner with Ballabriggs taking the spoils in great style. Jason Maguire, who was born on April 13, 1980, is the nephew of former top-jockey-turned-trainer Adrian Maguire. He started out in Irish pony races and partnered his first British winner, the Tony Martin-trained Search For Peace, at Cheltenham on November 12, 1999. He began riding for Gloucestershire trainer Tom George shortly after coming to Britain and enjoyed a seven-year partnership that yielded a Cheltenham Festival victory in 2002 when Galileo took the Royal & SunAlliance Novices' Hurdle. Maguire's working relationship with George, which was never contractually formalised, ended in January, 2007, and he is now attached to Donald McCain’s Cheshire stable. In 2008. He took the valuable Lanzarote Hurdle at Kempton in 2003 on Non So and captured the 2007 John Smith's Midlands Grand National on Baron Windrush. He had a second Cheltenham Festival success in 2008 on Whiteoak in the David Nicholson Mares Hurdle and added a third last season with Peddlers Cross in the Neptune Investment Management Novices’ Hurdle, who he went on to partner to victory in the Fighting Fifth Hurdle and into second place in the 2011 Champion Hurdle. Maguire also rode Barizan to win the Grade One Four-Year-Old Hurdle at Punchestown in April, 2010. He enjoyed his best season in 2009/10 with 108 winners. Today, he landed a first John Smith’s Grand National on Ballabriggs.